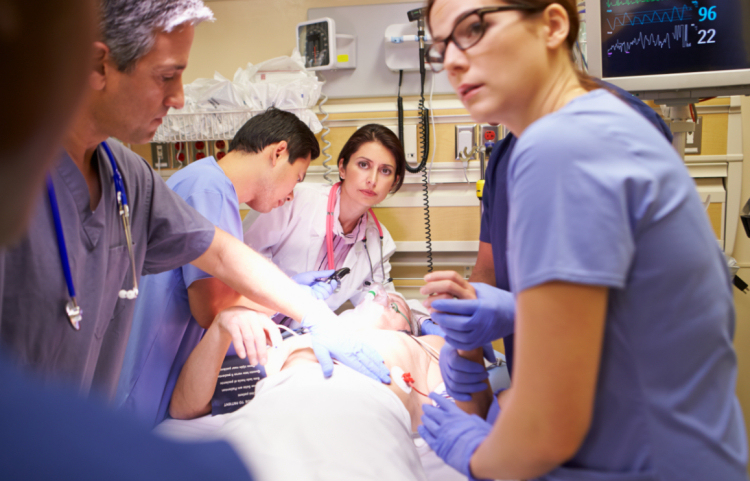 Two protocols for quickly and safely evaluating patients presenting to emergency departments with chest pain are being adopted by Australian hospitals. Chest pain is one of the most common reasons patients present to emergency departments (ED), with about 500,000 cases of chest pain presentations to emergency departments in Australia each year (about six million annually in the United States of America ). However, the majority of patients are not at risk of having a heart attack, according to Professor William Parsonage, a Cardiologist at the Royal Brisbane and Women’s Hospital (RBWH) and Clinical Director of the Australian Centre for Health Services Innovation at the Queensland University of Technology. Professor Parsonage, along with Professor Louise Cullen, a Pre-eminent Staff Specialist in Emergency Medicine at the RBWH, jointly led a team who developed two new protocols for assessing chest pain, which were the subject for two landmark publications published recently in the Medical Journal of Australia. The first paper describes the results of the introduction of the two-hour Accelerated Diagnostic Protocol (ADP) to Assess Patients with chest pain symptoms using contemporary Troponins as the only biomarker to 16 Queensland Emergency Departments. An economic evaluation estimated $13.5 million in savings per year for Queensland hospitals in released financial capacity as a direct result of using the ADP. The ADP was introduced during October 2013 to November 2015 with funding from Queensland Health. Outcomes were recorded for 30,769 patients presenting before, and 23,699 presenting after, the ADP was introduced. Following its implementation, 21.3% of patients were identified correctly by the ADP as being at low risk for an ACS; the mean emergency department length of stay for all patients presenting with chest pain fell from 292 to 256 minutes. The mean hospital length of stay fell from 57.7 to 47.3 hours, and the hospital admission rate fell from 68.3% to 54.9%. The second paper describes the IMProved Assessment of Chest pain Trial (IMPACT), a novel strategy to safely improve the care of 70 per cent of ED patients with suspected acute coronary syndromes, funded by the Emergency Medicine Foundation of Australia (EMF). IMPACT is changing the care doctors give to chest pain patients by improving the efficiency and maintaining the safety of assessing patients with chest pain, said Professor Cullen. “The protocol allows us to identify low risk patients, who account for nearly 1 in 5 chest pain patients in the emergency department, and safely discharge them within five hours, avoiding unnecessary tests,” she said. In a health economic analysis it was estimated that if all Queensland hospitals adopted IMPACT, it would result in released capacity worth $12.4 million annually. The IMPACT protocol stratified 244 (17.9%) patients to low risk and 789 (57.7%) to intermediate risk. The overall 30-day ACS rate was 6.6%, but there were no ACS events in the low risk group, and 14 (1.8%) in the intermediate risk group. The median hospital length of stay was 5.1 hours for low risk and 7.7 hours for intermediate risk patients. The research team’s latest strategy is being rolled out to hospitals in Queensland with funding from Queensland Health’s Clinical Excellence Division. The protocol is live at the RBWH, Cairns, Nambour, Ipswich and the Sunshine Coast University Hospital. EMF Chair, Dr Anthony Bell said investing in emergency medicine research allowed clinicians to deliver valuable solutions to patient care. “Professor Cullen and her research team knew from first-hand experience that only one in five people with chest pain in the emergency department was at risk of having a heart attack,” said Dr Bell. EMF awarded more than $1 million in research grants to Professor Louise Cullen to develop strategies to improve chest pain assessment. The EMF Queensland Research Program is funded by Queensland Health.